Redwood’s hours of operation are Monday – Friday 7:30am – 6:00pm. Special events on weekends are another great way for volunteer groups to engage with Redwood. 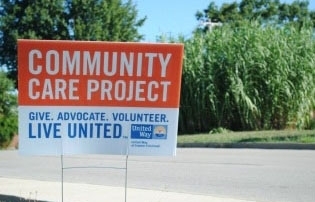 Additionally, a Saturday date may be scheduled as a Community Care Day for weekend volunteers. We are proud to call many local businesses "frequent friends of Redwood," including the great folks from Bilz Insurance, L'Oréal, Perfetti Van Melle, Deloitte, GE, Western Southern Financial, Fidelity, P&G, and many, many more. The contributions of these great companies have resulted in a new toddler playground, a refurbished staff getaway (formally known as the break room), spring pruning and weeding of our gardens, and fun seasonal celebrations for the children, adults, and staff of Redwood. The one thing these groups have in common is that they have seized a Community Care Day to partner with one another in the spirit and fun to make an impact on their community, right here at Redwood. 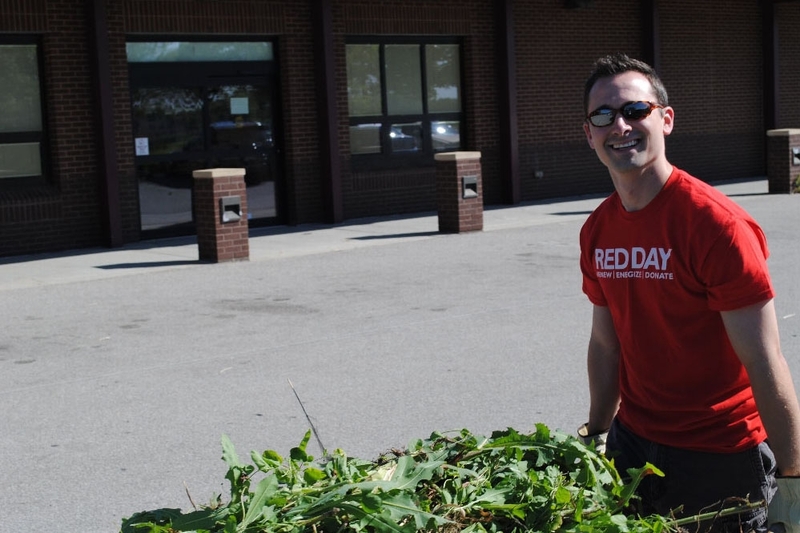 Dozens of volunteer projects are available throughout the year for teams of all sizes. All you need to do is consider your team's talent, skills, and time when choosing an activity. Community Care Days may include service directly with the children and adults or indirectly through other tasks. Click here to see suggested ways that your group can participate at Redwood. To learn more or register your group, contact Redwood at 859-331-0880. Redwood makes it very easy to get involved, support your community, and meet terrific people of all ages. Best of all – you will make a difference! By volunteering at Redwood, your generosity and kindness impacts the lives of over 800 children and adults with various disabilities. Volunteers are a key component to Redwood’s mission. In fact, it is volunteers and grassroots community support that started Redwood! We welcome both individual volunteers and large or small volunteer groups. As an individual, you can sign up for volunteer orientation or learn more about volunteer opportunities by contacting Lisha Smith at 859-331-0880. Please click on this link to complete the volunteer application.